Morbid Anatomy: Learn to Make Convincing Wax Wounds in Workshop with Medical Artist Eleanor Crook, This Sunday at London's Last Tuesday Society! Learn to Make Convincing Wax Wounds in Workshop with Medical Artist Eleanor Crook, This Sunday at London's Last Tuesday Society! 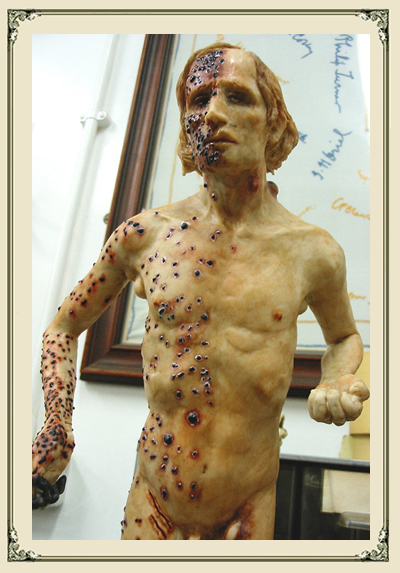 "Modelling up a face for the wax wounds workshop on Sunday at the Last Tuesday Society - each participant receives one of these to "operate" upon....then mount it as a moulage as per the picture here with the syphilis..."
I will be present as a student in this class; hope very much to see you there! Full information below; tickets available here. Let acclaimed sculptor Eleanor Crook guide you in creating your very own wax wound. Crook has lent her experience to professionals ranging from forensic law enforcement officers to plastic surgeons, so is well placed to help you make a horrendously lifelike scar, boil or blister. More details to be confirmed shortly. Eleanor Crook trained in sculpture at Central St Martins and the Royal Academy and makes figures and effigies in wax, carved wood and lifelike media. 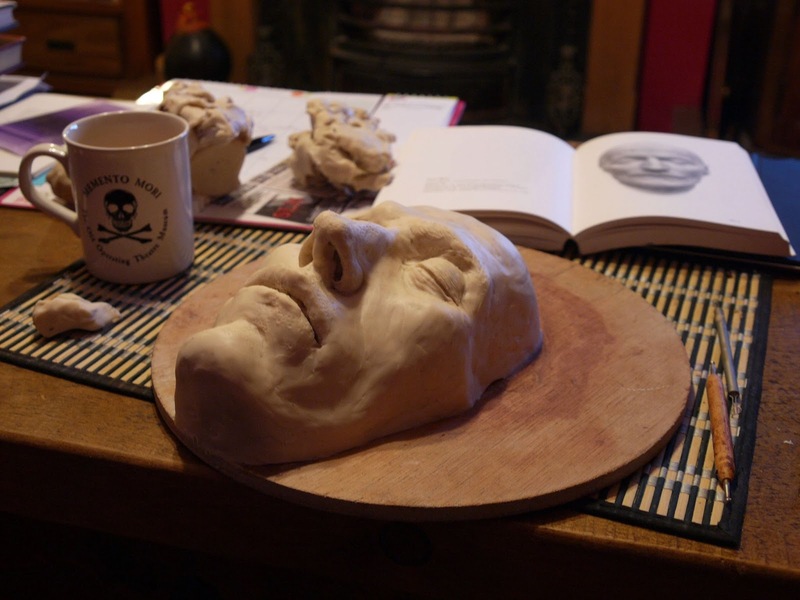 She has also made a special study of anatomy and has sculpted anatomical and pathological waxworks for the Gordon Museum of Pathology at Guy's Hospital, London's Science Museum, and the Royal College of Surgeons of England. She exhibits internationally in both fine art and science museum contexts. In the interest of making figures more lifelike than the living, using a generous grant from the Wellcome Trust she developed the incorporation of electronic animatronics systems into the sculptures so that her moribund and macabre creations now can twitch and mutter. She is artist in residence at the Gordon Museum of Pathology, a member of the Medical Artists' Association, runs a course in Anatomy drawing at the Royal College of Art and lectures on the M. A. Art and Science course at Central St Martins School of Art in London.